The pilot episode of A Time Before Kale will introduce the audience to Asha Boston and her beloved neighborhood, Bed-Stuy. While Bed-Stuy struggles with it’s new identity in the midst of gentrification, Asha takes a step back in time to explain what the culture of Bed-Stuy was and what it means to preserve the history of historically black neighborhoods that are being affected by the cultural tug of war. Meet Asha, who in 2014, founded the Dinner Table Doc is a 501(c)(3) New York City, non-profit organization that partners with schools and community organizations to provide college and career readiness workshops and programming. Meet the junior board member, Krystal. Who has been with The Dinner Table, a non-profit organization that provides college and career readiness opportunities since 2015. The Hotcombs N Sunday Dinners event is passionately and purposely designed to make a difference in the lives of young people, ages 11 to 18 plus and a unique way of building better communities. We host the dinner in celebration and recognition of generations of women that strive to empower and inspire each other across the welcoming setting of the dinner table. Promotional sizzle used at non-profit, The Dinner Table Documentary events. This was not used to solicit funds of any kind and was primarily shown to small groups for entertainment and educational purposes. On “Making a Model with Yolanda Hadid,” former model and television personality Yolanda Hadid (“Real Housewives of Beverly Hills”) brings her expertise to the forefront as she coaches aspiring teen models to succeed on and off the catwalk. The eight-episode series follows six young aspiring models and their mothers as they travel to New York City, shack up under one roof and pursue their dreams of becoming a supermodel. Over the course of the series, director JD Lawrence mounts his new production of the stage play Your Husband Is Cheating On Us, implementing creative methods with his cast. His strategies include moving everyone in together and injecting real-life experiences from their lives into the script. The behind-the-scenes drama takes matters to another level that will either make or break the show. Multitalented entertainers David and Tamela Mann are known mostly for their stage and screen collaborations with producer Tyler Perry ("Meet the Browns"). "It's a Mann's World" provides fans a view of the couple behind the camera. The hourlong episodes show how David and Tamela balance being celebrities, entrepreneurs and parents to four adult children while maintaining their marriage of 20-plus years. 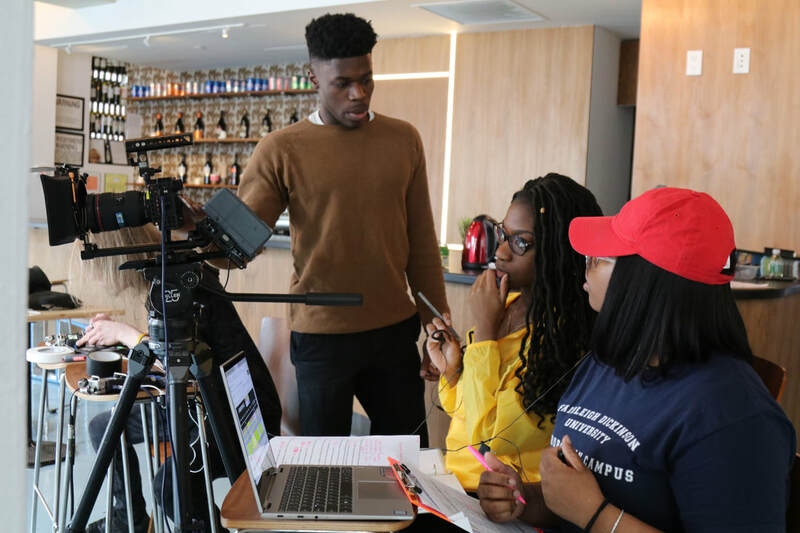 Docu-reality Pilot Development for webseries, Deuce// Table For Two, brings together women that vary in career, age, background and personal interest to celebrate the multidimensional layers of identity among black women. Documentary Pilot Development for Journalist and cross-fit model, Adele Jackson Gibson-- who recounts her experience in a local beauty pageant through a two part documentary series entitled, Girl UndercoverUP.